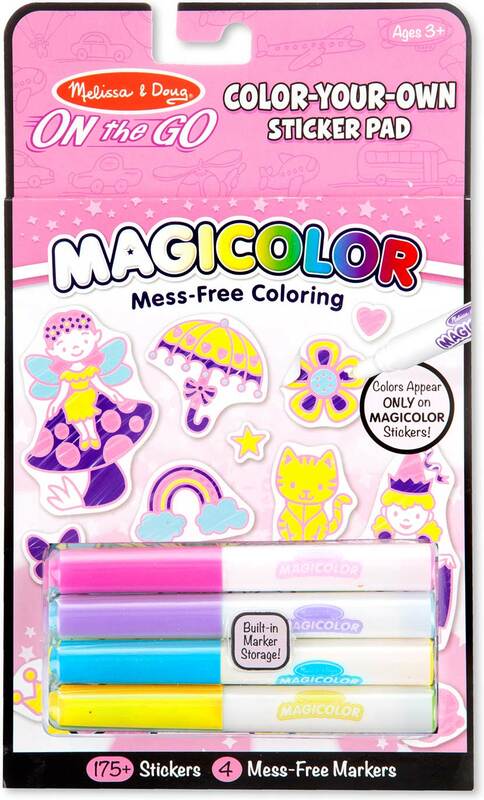 Our amazing Magicolor technology lets children pick a marker, color more than 175 princess, fairy, and animal stickers, and see the colors magically appear on each-all completely mess-free! 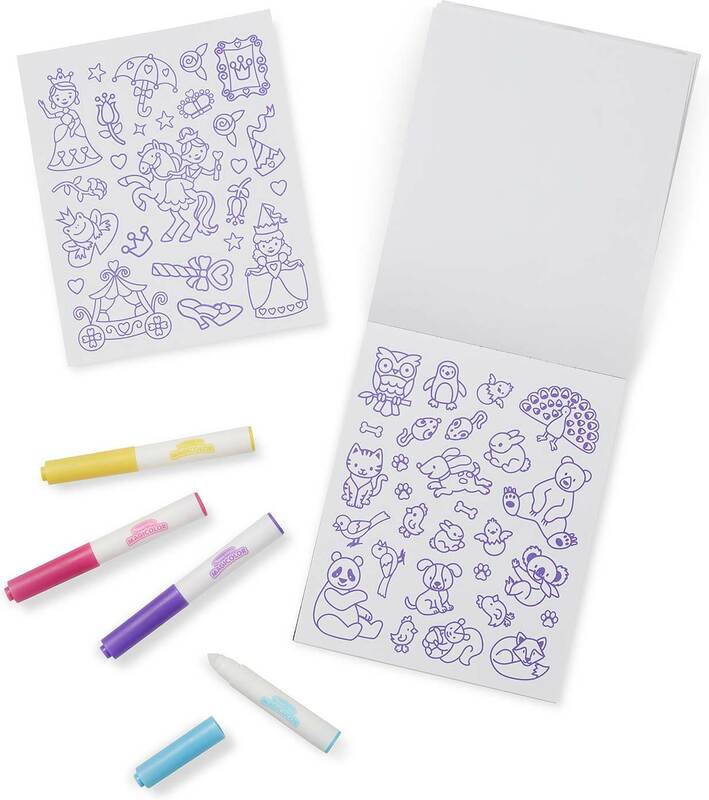 The four included markers (purple, pink, blue, and yellow) have ink that's invisible anywhere else but creates instant color on the stickers. 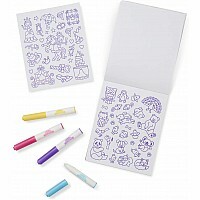 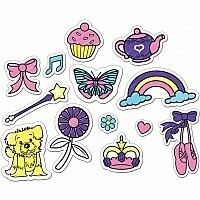 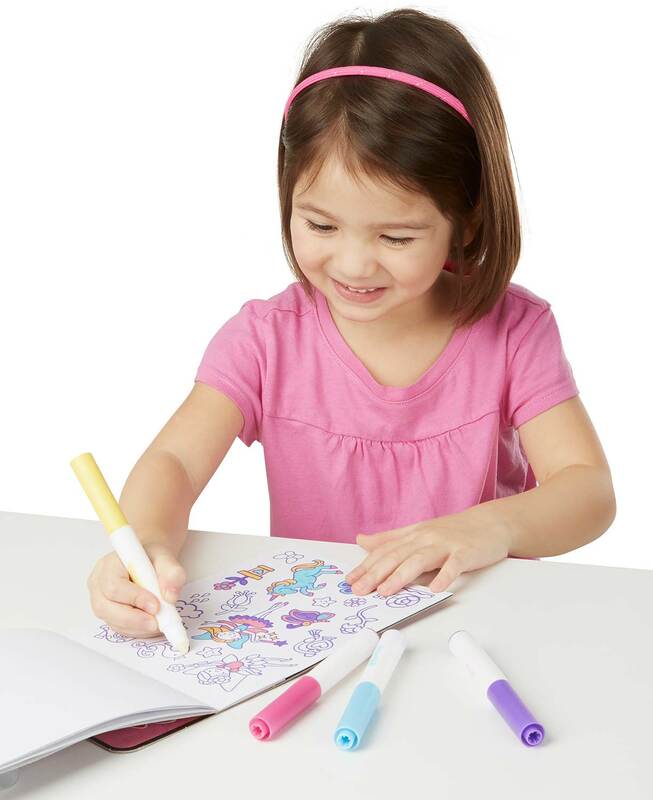 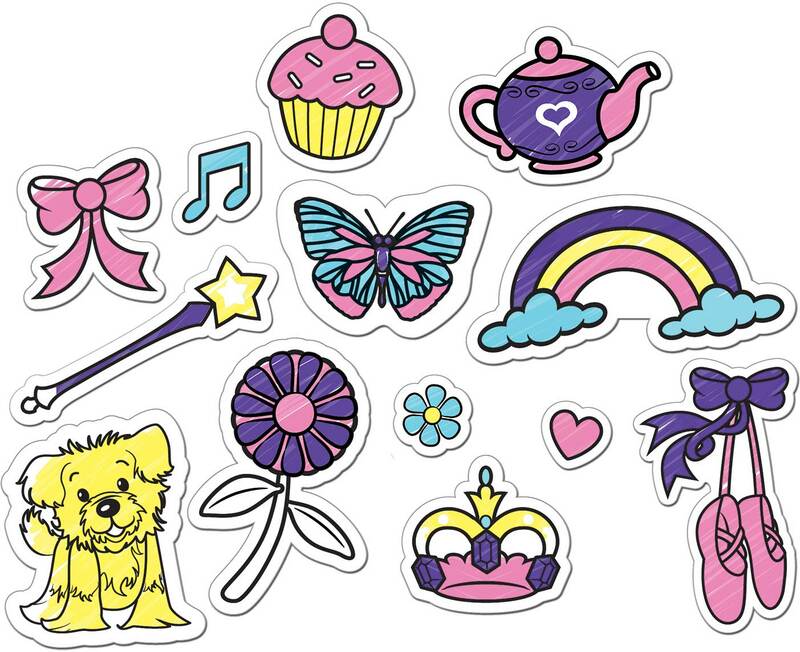 After coloring, use the stickers to create scenes, decorate notebooks, or personalize notes! 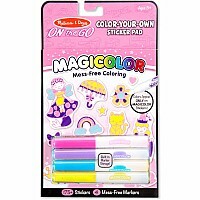 The travel-size pad and built-in marker storage are handy for artists on the go!